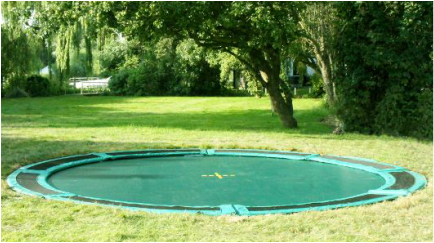 If my kids want to jump on a trampoline, they have to go to someone else's garden. I'm not having one of those ugly things taking over our little lawn. But, now you can sink them into the grass, things are starting to look up for little ones with garden-loving parents everywhere. 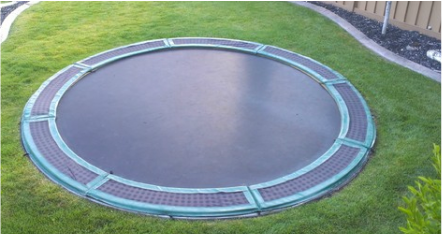 Capital Play's in-ground trampoline, is much less of an eye sore because it doesn't require an enclosure; and, it's so much safer to play on too as there are no great heights to fall off of. House plants are having a revival and terrariums are particularly on trend at the moment. This is great, if you're green fingered, but have no garden. You can use them to create your own little mini indoor landscape. 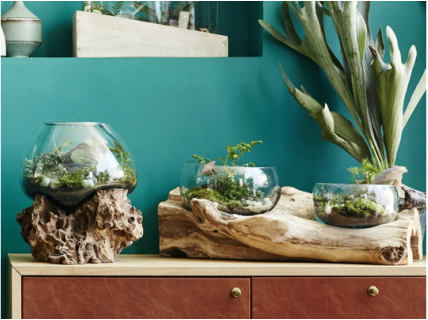 I've just returned from West Elm's Spring Summer launch and they have a particularly lovely selection of terrariums on offer, the glass in the ones shown above is moulded around their tree stump stands so that each one is unique. This vase shaped receptacle with a rounded concrete base will make a lovely table centre piece and whatever you choose to plant within should last a lot longer than cut flowers. 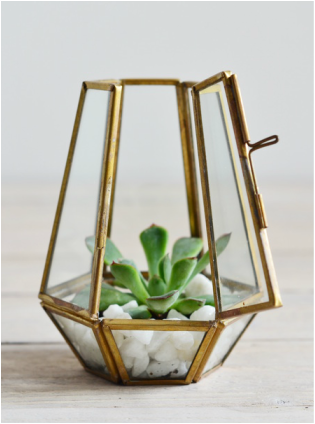 This little brass terrarium will look lovely on a window sill and for extra wow factor go for three in a row. Fill the base with soil, conceal this with gravel, then add a hardy cactus or other succulent. 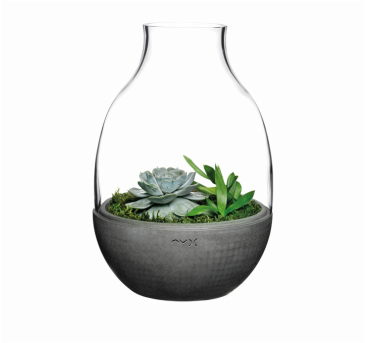 If you've scarce table-top space, opt for a hanging terrarium instead. This little bauble can be suspended from a ceiling beam or from a wall. And, unlike many other options, it comes with the plants and base layers that you need to create a terrarium garden. Whilst this has to be the smallest little mini glazed garden you will ever find. This tiny orb of real moss is so small it's been made into a necklace. Kate Gould is an award winning garden designer who specialises in transforming gardens of all sizes. Here she tells us how important it is to prepare even the tiniest garden for Winter. When I think of a winter garden I think of evergreen structure and seed heads dusted with frost backed by a clear crystal blue sky. But, our winters are now so unpredictable in the UK that we cannot guarantee those crisp cold sunny mornings that warrant planting a garden solely for its winter seed heads. Over the years many plants with winter structure have crept into the planting palette, but my garden errs on the damp side in places and plants that should look good during the winter in a ‘crispy dead’ sort of way look ‘soggy dead’ instead. So, this year I've hardened my heart. I'm going to cut it all down before the cold really sets in, feed it and mulch it with well rotted manure to prepare it for next summer. I will miss the golden buff Miscanthus and Hydrangea and I will leave some of the berried plants for the birds. It will look ever so bare over the winter, but I can cope with that if I know the garden is getting ready for next year under its blanket of ‘black gold’. Normally I leave everything standing to protect the crowns of the plants and don’t cut it down until the middle of January, but a 5cm mulch of organic matter will give the same effect and if I can get it on the ground while the soil is still warm then all the better. This practice is also useful if you have a garden with plants that are generous with their seeds (Verbena, Lythrum, Althaea and Papaver to name a few). A thick mulch helps quash unwanted seedlings next year. The same goes for tender plants or those with fleshy stems; Zantadeschia Aethiopica, Gunnera and Rheum especially benefit from a mulch and a layer of straw and manure to keep the worst of the winter wet away from them as well as keeping the surrounding soil from freezing too hard. As with all mulch, keep it away from the stems of the plant to avoid rotting them. If you garden in a Mediterranean way with gravel and scree then adding more gravel to the garden gives the same effect as an organic mulch. It won't feed the plants, but most of these plants are happy on a lean diet and don’t require the boost. There are also some tough pruning jobs to tackle in my garden and a fifteen year old Amelanchier ‘Obelisk’ that has looked decidedly unwell for most of this year will probably have to be removed. It was rocked heavily by a gust of wind in the spring and is really beginning to lean over. This will leave a gap but that isn’t a problem per se; the only problem is deciding what new plant to put there to replace it. My well-crafted scheme has slowly diluted itself over the years and would benefit from lifting, dividing and re-planting. This year I am going to be ruthless and tackle it head on; no lame excuses (well that’s the plan anyway!). · Tie in climbing plants to make sure they are secure and the wind doesn’t damage them, this is especially important for climbing roses. 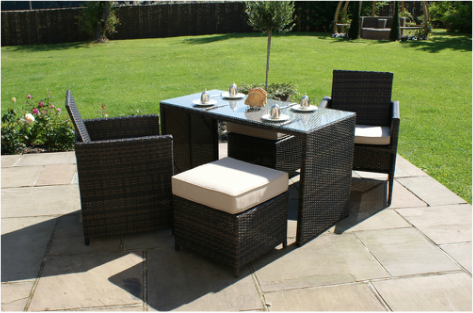 · Rake up fallen leaves and compost to provide an organic mulch next year. Leafmould is a great soil improver. Discover how to make it at RHS. · Clean your pots. It isn’t the most pleasurable of jobs but will help to keeps pests and diseases at bay next year. · Plan for next year, whether it’s a landscaping project, vegetable garden or simply a new herbaceous planting plan inspired by a seed catalogue. 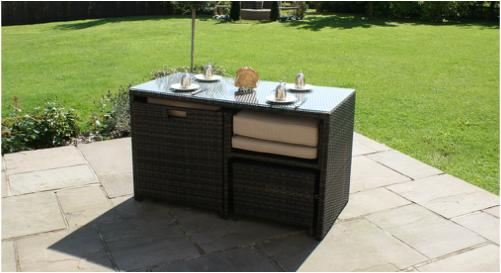 · Provide food for birds in your garden and keep doing so until the weather warms up. You can find out more at RSPB.